District 3 – April 2012 – Lincoln Nebraska A.A.
How it Works made a contribution of 42.66. This gives District 3 an approximate balance of $53.00. Currently the district is 3 months behind in rent, Darrell will pay for 3 months of rent this week since there was funds available. Rent is currently $10 per month. Intergroup Report: No intergroup representative was in attendance. DCM Report: There currently is no DCM for District 3. Continue to talk to groups that District 3 is still seeking people to serve as DCM, Alternate DCM and Secretary. The district has been without a DCM for 5 months. District Funds are low and is 3 months behind in rent. 1. There was discussion regarding the lack of District 3 not having a DCM. Seth H. accepted the nomination for the position of DCM. This will be voted on at the May District Meeting. 2. 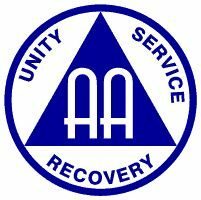 Mike E. attended the District 3 meeting to invite people to assist with the Lincoln AA Anniversary. The committee is being formed and will meet at the Highway Diner on Highway 2 at 2:00 PM on August 11th, 2012. 3. Sheila H. requested that the District 3 Meeting date and time be corrected on the lincolnaa.org website as it still reflects the old meeting Days. The group no longer meets on the first Sunday of each month, and now meets on the 1st Tuesday of each month at 28th and S, 2nd Floor. The group made a $200 contribution to the Spring Fling. They also hosted a Hospitality room there. The group took turns tending the room will a lot of participation. It went well. How It Works – Seth H.
The group is in the process of negotiating the rent concerns for their meeting. The group is well attended and averages 10-40 people. Lincoln Foxhall – Sheila H.
The Foxhall group is a weekly speaker meeting with good attendance increasing to an average of 40 people per week. Closed at 7:47 pm. With the serenity prayer. Next Meeting will be held May 1, 2012 at 28th and “S” streets 2nd floor at 7:00 pm.